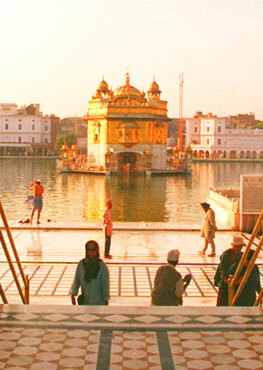 The Siddh-Goshti is an inter-religious debate between Siddh-Nath-Yogis and Guru Nanak. Nath-Yogis and Siddhas belonged to Sahajayani sect of Buddhism and held their sway in Punjab. The concepts of Sabad, Nam, Guru, Mind, Sunya and Gurmukh are explained to Siddhas from Sikh view-point. Ultimately, the Guru prevails upon Siddhas explaining them the efficacy of Sahaj-Yoga philosophy of Sikhism. Guru Nanak, the founder of Sikhism, appears on the Indian scene at a crucial juncture when Hinduism and Islam were confronting each other with Hinduism gasping for breath. The decay of Hindu culture is represented in Asa di var by Guru Nanak . Various other sects who lived and preached in Punjab are also mentioned by Guru Nanak in his bani. Siddhas, Naths and Yogis held their sway in Punjab before the advent of Sikhism. They all belong to the Sahajayani sect of Buddhism or its perverted forms after assimilation into Hindu fold. According to Mahan Kosh , there were twelve panths of Nath-cult in Punjab and eightyfour Siddhas, with Guru Gorakh Nath as a leading figure among the Siddhas of Punjab. Siddhas, Naths and Yogis practised various types of asanas (bodily postures), pranayam (breath-control), dharana (concentration), dhyan (meditation) and samadhi (estasis) to gain long life, miraculous powers (siddhis) and liberation (mukti). Patanjali's Yoga-darshan is one of six schools of Indian philosophy. It was held in great esteem both in the orient and occident. Even today, the western youth has a strong affinity for Indian yoga philosophy and its techniques. Harbhajan Singh Khalsa (Yogi Bhajan) initially achieved a great success in preaching Sikhism in the western hemisphere by employing yoga techniques. In the dialogue between Guru Nanak and Siddhas, yogic terminology has been used in full measure. The reader may refer to some standard text on Indian yogic philosophy/techniques to understand the import of yogic terminology, e.g., ida, pingala, sukhmana, sunya, surti and anhad nad, etc. 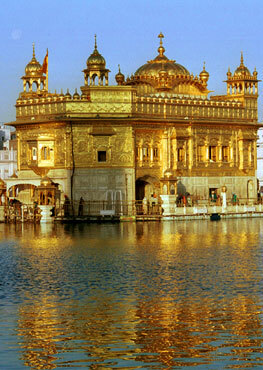 During his itineraries, Guru Nanak visited holy places of both Hinduism and Islam. He preached his mission in a simple but forceful manner. In his encounter with Siddhas, Guru Nanak shows his mastery over the art and craft of religious debate. Siddhas posed very philosophical and abstract questions in a quick succession to embarass Guru Nanak, considering him a novice. The Guru's replies were equally pertinent and incisive and ultimately Siddhas felt defeated and dethroned. Guru Nanak used even derogatory language, as quoted by Bhai Gurdas , against the leader of Siddhas. The Guru decried the Yogi's cult of first renouncing the world and then cringing before the same house-holders whom they had forsaken, for mere crumbs. There is no consensus of opinion among the scholars regarding the venue of Siddh- Goshti because there is no indication given by Guru Nanak in his bani. However, Bhai Gurdas, the great Sikh chronicler, had given account of two encounters of Guru Nanak with Siddhas, the first one at Sumeru mountain in the Himalayas  and the second one at Achal Batala  near Batala town of Punjab. The great debate referred to in Siddh-Goshti took place at Achal Batala after Guru Nanak settled down as a house holder in Kartarpur on the banks of river Ravi. It is obvious from Bhai Gurdas's diction that he had used the Siddhas, Yogis and Naths interchangeably for the same group of ascetics who confronted Guru Nanak about his mission. Bhai Gurdas declares emphatically that Baba Nanak won over the Siddhas during these two encounters with the power of Sabda. All the religions of the world present a model to the civilised man to liberate himself from his conditioned life. To obtain mukti (liberation) from the bonds of worldly life, various disciplines and practices have been prescribed. Hindu religion lays emphasis on Gyan, Karma and Bhakti-yoga. Siddhas relied on Hatha-yoga technique. It is based on the principle of controlling and channelising of prana, man's vital life force, for awakening his latent energy, called Kundalini. Hath-yoga has for its tools, asanas, pranayam, mudras and samadhi. Asanas are such postures of body as help a yogi attain longevity and concentration of mind. Pranayam and samadhi have the potential to throw open gates of vast occult powers known as siddhis. Pranayam refers to breath-control which is practised to awaken Kundalini, which is believed to lie at the lower end of the spinal chord. The major concern of a Hatha-yogi is to awaken the Kundalini or Serpent energy. Hatha-yoga Pradipika elaborates the techniques to be followed by a Hatha-yogi to attain liberation from the cycle of life and death. This is such a complicated and complex system that man is advised to renounce the worldly life and to remain cut off from his social moorings to attain liberation. Q.1. Who it is that is unmanifest? Q.2. Why have you renounced your home and turned a recluse? Q.3. What about the pre-cosmos state ? A.3. The very thought of the pre-cosmos state lands one in a state of wonderment. Q.4. What lies at the root of life? And what is the prime creed of the age? A.4. Pray Sir, air it is that supports all life. And, the True Guru's message is the creed of the day. The World is verily the Light of the Lord. Q.5. Where does the way-ward mind abide? 1. AGGS, M1, P. 463-475. 3. Bhai Gurdas, Var I, Pauri 28. 4. Bhai Gurdas, Var I, Pauri 40. 5. Bhai Gurdas, Var I, Pauri 36. 6. AGGS, M1, P, 938. 7. Guru Nanak's Siddh-Goshti, Translated by Piar Singh, G.N.D. University, Amritsar, 1996(AGGS pp.938-946). End Note: AGGS denotes Aad Guru Granth Sahib. Publishers: Shiromani Gurdwara Parbandhak Committee (SGPC), Amritsar. M 1 refers to Guru Nanak, P refers to Page number of the AGGS, the Holy Book of Sikh Religion.